As the paper price of gold falls even lower due to market manipulation, gold continues to bleed from the COMEX Warehouse stocks. Another 156,310 ounces were removed from the Customer inventories. What is even more interesting is how much gold has been removed from the COMEX since the beginning of the year. 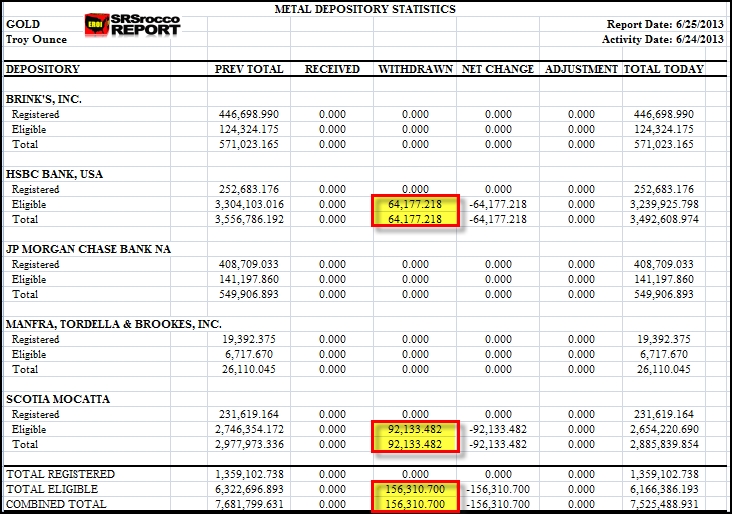 If we look at the COMEX Inventory table below, we can see that 64,177 oz were removed from HSBC and 92,133 oz were removed from Scotia Mocatta. Again, both of these were withdrawn from the Eligible or Customer Inventories. While HSBC and Scotia Mocatta can afford these sort of gold withdrawals from their customer inventories, as you can see, JP Morgan cannot with only 141,197 oz remaining. Basically, the gold that was removed from these two bank vaults, would have totally wiped out JP Morgan's remaining customer inventory. Since the beginning of the year, total COMEX gold inventories have fallen 32%, from 11 million oz in January to 7.5 million oz today. 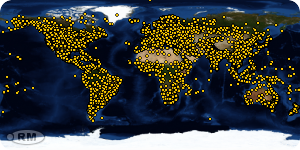 This chart is from 24hGold.com, and has not be updated yet as it still shows the previous days total in the top right part of the chart at 7.68 million. 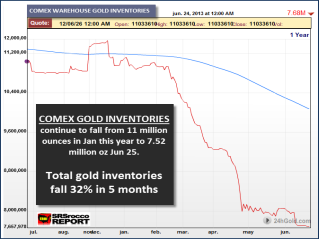 So, as the bizarre paper trading in the precious metal markets keeps pushing the price of gold lower, investors continue to withdraw more gold out of the COMEX warehouses. It will be interesting to see what happens to JP MORGAN'S pathetically small gold inventories in the next several weeks and months. Lastly, it is quite interesting that copper is only down 18% since the beginning of the year, while gold is now down 26% and silver a whopping 41%. 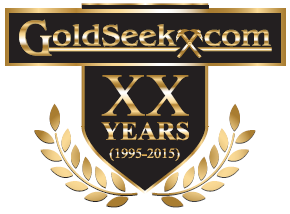 I will be discussing how the extremely low paper prices of gold and silver are impacting the miners at the SRSroccoReport.